What are some of the more interesting uses for MMS? We see MMS being used actively in a whole host of industries – from automotive, to property, luxury, retail and more. Some of these insights have appeared previously on articles in this blog. But there are also some less well known industries that have used MMS to great effect. An often overlooked feature of MMS is the ability to share the multimedia content on social media platforms like Facebook. The Chicago Shakespeare Theatre in the U.S.A. used MMS a few years back to engage with customers on a personal level. Following a surprise live performance, customers could text-in to receive an exclusive video MMS that explained how missing characters had come to life in the play along with instructions to buy tickets to see the new show at the theatre. The campaign also won an Award with the Mobile Marketing Association. The results were extraordinary; 8 million impressions in 24 hours, an all-time record number of new guests at the theatre and interestingly, 14% shared the content on Facebook broadening the reach of the campaign. 17% also opted in to receive future messages from the theatre. It leads me to wonder why more clients and agencies are not trying similar MMS campaigns here in Australia. Melbourne’s Comedy Festival for example would be perfect for this type of execution. Likewise Sydney’s Fringe Festival, the myriad of food and wine festivals to unlock food “secrets” – the list goes on. An industry which been using SMS for quite some time is the automotive industry – and in particular car dealerships – as a means of helping them sell more cars, increase their lead databases, or for service reminders. In this example, the dealership managed to build themselves a sizeable database of 4,000 leads which they could market back to. The Zupps event turned out to be the most successful event the dealer had hosted that year. We would encourage more car dealers to use MMS to help promote their sales events. MMS marketing has proven successful for many car dealerships already. 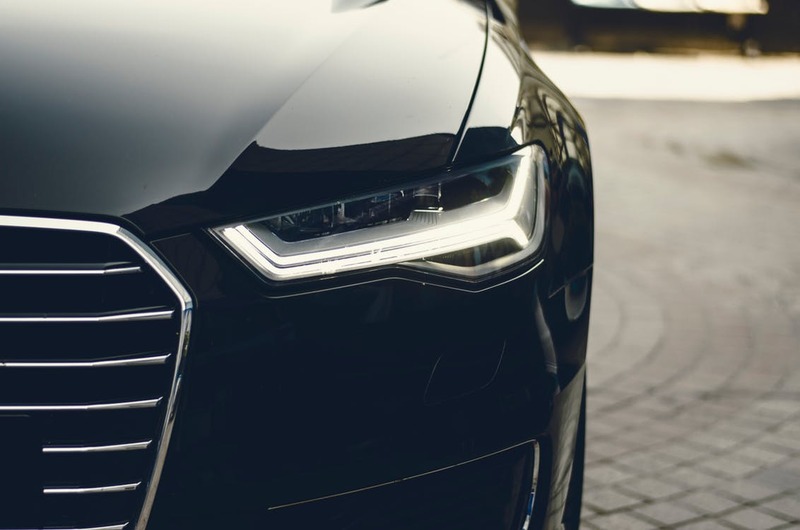 It makes sense – purchasing a new car is an emotive experience and imagery has been shown to stimulate areas of the brain which heighten our emotions. Other applications for MMS for car dealerships might be to setup an auto-responder in the car yard where potential buyers can text in a registration number and receive an MMS on their smart phone with a photo of the vehicle, key specs on the car and potentially a sales persons contact details – very useful for late night browsers. Or setup an alert service for used car sales, whereby potential buyers receive MMS alerts of cars that match their criteria. If you are an agency or reseller wanting to send car dealership MMS campaigns please contact us for more information and rates. We offer the best MMS rates in Australia. If you are an existing SMS provider looking for wholesale MMS capability to offer your own automotive customers then please get in touch via our contact form. If you have any other comments or questions, or would like to share your own successes with MMS in the automotive industry, then free to leave a reply in the comment box below. If you are an SMS Provider, Mobile Marketer, or someone who has worked in and around the mobile industry for some time – generally speaking, most of you would have at least some understanding of the SMS Provider market here in Australia. Some SMS providers who have been around for a long time include Burst SMS (2009), Messagemedia (2000), MessageNet – now Salmat (1995), SMS Broadcast (2005) and SMS Global (2007). When it comes to MMS however, the history and details around Australian MMS Providers becomes a little sketchier. With a little help from Archive.org and by doing some research, we can see that SMS Global have been offering MMS messaging since around 2008. Soprano launched its Mobile Enterprise Messaging Suite, or MEMS, in 2006 and we’re not certain whether or not the first version of MEMS included MMS but it certainly does now. Telstra Integrated Messaging (TIM), based on MEMS was launched in 2007 and we understand that the Telstra/Soprano relationship continues to this day. TIM do offer MMS as part of their service offering. At Thirdscreen, we were offering MMS services since pre-2007. Mobipost, a Bulk MMS messaging platform built by Thirdscreen was launched in 2008 and whilst no longer part of Thirdscreen, Mobipost continues to provide MMS mobile marketing services to this day. If you look at the history of MMS messaging and marketing in the USA, there has been a very complicated history. MoGreet were one of the very early MMS Providers in the U.S. going back to 2006 and founded by James Citron. At one point, MoGreet claimed to by delivering up to two thirds of all MMS traffic in the United States. Through various acquisitions MoGreet and their derivatives all finally ended up as part of mGage – a major SMS Aggregator. Thirdscreen are now focused solely on the wholesale MMS market. If you are an agency or reseller wanting to send property MMS campaigns please contact us for more information and rates. To request a copy of our MMS API documentation, use our request page here. If you would like to contribute to this story with some insights of your own – feel free to do so in the comment box below. When considering which industries are best suited to Bulk MMS it is hard to overlook the property and real estate sector. Real estate agencies and property developers spend a lot of money on branding. They produce copious amounts of marketing material by way of brochures, letter box drops, property cards, magazines and more. They also have some of the more attractive web sites going around. It is not hard to see why this industry puts a lot of time and effort into branding and visuals. Buying property is after all, an emotive experience and nothing motivates a buyer more than visualizing themselves in their new property. The old saying, “a picture speaks a thousand words” is particular relevant to property marketing. Sadly, when it comes to motivating consumers to take action, many agencies revert back to using plain text (SMS) marketing. So for instance, when notifying potential buyers know about a forthcoming auction, or when a property comes on the market that fits the buyer’s profile – many agencies will send out an SMS alert. By introducing MMS marketing into your property campaign, you can showcase a property in much greater light – by highlighting key features such as the rooms, floor plan, views, interior and exterior. The money invested into marketing the property in other channels can be re-purposed for MMS which maintains consistent branding across print, digital and mobile. Our colleagues over at Mobipost worked with an agency to promote off-the-plan apartments for the luxury BARCA Apartments just outside of Brisbane. MMS marketing messages were sent to clients prompting them to arrange exclusive appointments to inspect the property. Most of us are familiar with the term SMS – stands for Short Message Service, or “text” ( “TXT”) message or, by extension “texting”. For those of us that are not familiar with the term MMS, it is short for Multimedia Messaging Service. It may also be referred to as “picture messaging”, a “multimedia text” or even the shorter form “PXT” (picture text!). Essentially MMS is an extension to SMS, which enables you to send multimedia content such as pictures, photos, audio or even video. If you take a photo on your smartphone, select a friend from your address book and hit ‘Send’ essentially you are sending an MMS. Like SMS, it is one simplest and purist forms of mobile communication. All mobile phones are capable of receiving an MMS and the recipient does not need any special software or application in order to view your MMS message – it will automatically appear in their Inbox! The previous example of sending a photo to a friend is often referred to as “peer-to-peer” or “person-to-person” (P2P) messaging between two individuals using their mobiles. When talking to marketers, or other businesses however they usually have a need to send MMS messages from a software application – this is sometimes referred to as “application-to-person” or A2P messaging. An A2P messaging provider, or “MMS provider” such as ourselves here at Thirdscreen, have the ability to send messages “en masse” – Bulk MMS if you will; and typically this is one-to-many, such as a single marketing campaign to an entire customer database. Tatango are a Bulk SMS and MMS provider based in Seattle, USA. They have put together a really useful blog post which talks about MMS marketing, explains what MMS stands for and goes into a lot more detail about how to send Bulk MMS messages in the U.S. along with the requirements and costs involved. There are considerable differences between sending MMS in the USA and sending here in Australia, which I won’t go into detail in this article – however, the Tatango post is an interesting read nonetheless. If you are an agency, reseller or SMS provider wanting to send wholesale MMS in Australia please contact us for more information and rates. To request a copy of our MMS API documentation, use our request page here. Quartz blog give us a good look at how mobile has been used over the past decade. The app of the month is Meerkat, a live video-streaming service that took off just as the annual South by Southwest interactive conference gathered in Texas. Meerkat has only existed for a few weeks, but it already has hundreds of thousands of users, including several Hollywood stars. The startup has capitalized on its hot launch, using it to raise $12 million to fund its growth. Meerkat, which relies heavily on Twitter as a distribution network, isn’t a particularly novel idea. Live video-streaming apps have existed for years, with mostly modest success. And Twitter will soon launch its own similar tool, Periscope, built by a startup it acquired earlier this year. But Meerkat’s—and perhaps Periscope’s—timing seems right. After years of buildup, mobile video is finally breaking through. In the US, for example, some 50% of iPhone owners, 46% of total smartphone users, and 36% of overall mobile subscribers reported watching video at least once in a month, according to comScore’s January 2015 survey. That’s up significantly from a similar survey in late 2009, when 23% of iPhone owners, 12% of smartphone users, and 3% of overall mobile subscribers reported using video. What has changed? Almost everything. Mobile phones are faster and more powerful, with large screens capable of displaying beautiful, high-definition video. Mobile networks—where LTE service is available, at least—can now easily handle high-quality streams in both directions. Data service is frequently affordable. Crucially, content is also increasingly optimized for mobile. Compare early attempts at mobile video services—such as MobiTV, which squeezed traditional, linear television onto tiny mobile screens—with today’s mobile-native offerings, such as Snapchat’s new network, Vine, and Meerkat. And credit the rise of social distribution networks, such as YouTube, Twitter, and recently, Facebook, which said on its fourth-quarter earnings call in January that it was delivering 3 billion video plays per day, with 65% of views occurring on mobile. “A shift to mobile is changing the way people consume video,” Facebook’s chief operating officer Sheryl Sandberg said on the call. As a result, time spent watching mobile video is also increasing. In the fourth quarter of 2014, the average American spent 102 minutes per month watching video on a smartphone, according to Nielsen. That’s up more than 20% year-over-year. But it’s still a relatively small percentage of total screen time, compared to 149 hours of traditional TV per month, 43 hours of smartphone app and web usage, or 10 hours of watching video on the internet. By another measure: Cisco projects video to represent 71% of all mobile data traffic by 2019, up from about 55% last year, and representing the bulk of mobile traffic growth. Here are some great insight from Techcrunch showing what we all have been thinking about the adoption rates over wearables. If people are looking to Apple and its new smartwatch to kickstart wider consumer interest in wearable computing gadgets, the maker of the iPhone will have a lot of work ahead of it. New research out from the GlobalWebIndex indicates that in a survey of 170,000 adult internet users across 32 markets, only 9% report having a smartwatch, and 7% said they owned smart wristbands. In contrast, among online adults, 80% now own a smartphone. Within the wearables category, the biggest number of device owners are affluent males in the 25-34 year-old group who reside in the Asia Pacific region. This points to these smaller, portable and more narrowly functional devices continuing their market placement as niche products that have yet to find a groove to appeal to a wider range of consumers. Breaking out how different mobile platforms are performing in the smartphone and tablet sectors, it’s no surprise to see that Android is firmly ahead of iOS. What’s interesting to see, however, is just how far they have diverged and when. In tablets, to me the most interesting point is a historical one: we like to talk about how Apple and the iPad dominate tablets, and while that may be the truth as far as the single brand is concerned, when it comes to platform dominance, Apple hasn’t been in a leadership position since Q4 2011, and really dropped away from a close position in 2013. GWI says that 75% percent of smartphone users are accessing mobile internet services on their smartphones — meaning a whole 25% are still not. The average amount of time that people are spending on their mobile devices is 1.85 hours/day, up by about 40 minutes on 2012. Because emerging market consumers often replace PCs with phones, they are using those phones the most, on average at more than three hours/day in the Middle East and Africa. GWI also delves into what kinds of content is being consumed on the Internet access front, and how users are getting to it. The rising tide of restrictive firewalls in some markets has led to increased usage of VPNs to access the Internet. These VPNs effectively let you appear on the Internet as if you are somewhere that you are actually not. Currently, GWI says that some 27% of respondents, of 400 million users, say that they have used VPNs to go online, with China alone accounting for 150 million people. Here Quartz shows us that Facebook plans to let companies build their messaging app services directly into Messenger, which will potentially give Facebook control. See below for a more extended look on the news. Facebook, which thoroughly dominates the current era of the online social networking industry, is setting itself up nicely for the next. Many see messaging apps as the future of social: Lightweight, real-time, personal conversations that can become rich environments for media sharing, entertainment, and even commerce. Facebook is in a particularly luxurious position here. It now owns the two largest messaging services in the world: No. 1, WhatsApp, which last said it had 700 million monthly active users, and was acquired by Facebook for more than $20 billion. And no. 2, its homegrown Facebook Messenger, which now has 600 million monthly active users. What’s interesting is how the apps are starting to diverge: Two similar concepts with increasingly different feature sets, philosophies, and strengths. Facebook’s plans for Messenger are ambitious and complex. At the firm’s F8 developer conference last week, it announced a new Messenger “platform.” Companies can build their services directly into Messenger, ceding some control to Facebook in exchange for (theoretically) massive distribution. The idea is similar to the old Facebook web platform from last decade, which fueled the growth of companies like Zynga, the gaming giant behind FarmVille, and Zong, an early Facebook mobile payments partner, whose founder David Marcus is now running Messenger for Facebook after a stint at PayPal. But it’s easy to see how something like this could expand. It’s long been happening in Asia, where services like WeChat—500 million monthly active users, but mostly in China—offer a variety of services from taxi booking to financial services. Similarly, mobile games—notably missing from Facebook Messenger, so far—have propelled Japan’s most popular messaging app, Line, which has also struggled to catch on globally. Perhaps we can expect more along those lines from Messenger, which already has broad global impact. Speaking of broad global impact, what about WhatsApp? Where’s itsplatform? That’s not happening now, and it doesn’t sound like one is coming any time soon. While Facebook Messenger plays the platform game, WhatsApp—the most popular messaging app in the world—is keeping its product simple and focused. A WhatsApp rep told Quartz that the company—which still runs independently, at an arm’s length from Facebook—is focused on app speed and reliability. And this isn’t a crazy idea, either. WhatsApp gained massive popularity—and drew Facebook’s acquisition offer—by offering people a fast, free alternative to text messaging. A recent chart from the Economist shows how WhatsApp dramatically zoomed past SMS—the global messaging standard—in message traffic. Why mess up a good thing? That’s not to say that Facebook is impervious. Snapchat is perhaps the best recent example: An “ephemeral” mobile photo-messaging service with a rough user interface that just happened to take off. Now Snapchat is one of the fastest growing social networks in the world—run by a tycoon who shares some traits with a young Mark Zuckerberg—and is becoming a compelling player in mobile video. Facebook couldn’t buy Snapchat quickly enough, and has failed at cloning its magic several times. YikYak, a gossip app popular on college campuses, is also worth keeping an eye on. Still, Facebook has positioned itself impressively. Instead of one attempt to keep its hold over the future of social, Facebook can try two separate strategies with massive audiences. Here Digital Marketing Blog gives you the top 5 mobile marketing tips for the travel and hospitality industry. Mobile marketing is today’s emerging trend, and mastering it can make the difference between increased conversion and stagnation. Let’s explore how Travel and Hospitality industry leaders structure their mobile apps and then see what we can learn from some of the most successful brands in the world. Mobile Marketing Overtake – Are We There Yet? It is now 2015, and mobile has indeed overtaken PCs. Mobile phone penetration rates in the West are over 100 percent. 74 percent of people have a smartphone and can receive emails pointing to mobile websites. Since 70 percent of smartphone users are willing to receive push messages, you can push a direct link to mobile apps to 52 percent of the population. So, have all e-tailers positioned themselves properly on these two aspects of mobile marketing: mobile apps and mobile Web (yes, I’m skipping mobile social, even though it’s big, because it deserves a blog post of its own)? Hardly. A recent InternetRetailing article on retailer mobile-friendliness quotes SciVisum’s Christmas 2014 eCommerce Mobile Experience Report, reporting that in the run-up to the critical holiday shopping season, 7 of the 10 leading UK e-tailers weren’t mobile-friendly, with two serving desktop-optimized pages to mobile devices. 7 of the 10 took more than 2 seconds to load a page on mobile devices, even with cell signal speed taken out of the equation. Stats from Greenlight show ‘cheap flights’ was the most popular Google UK flight search term at 17 percent overall and 20 percent of mobile-based searches, yet only half of the top 10 sites returned by that search were responsive. According to an eConsultancy report on responsive design in the travel industry, only 1 of the 50 top airlines in the world implemented CSS restyling based on user agent detection. 76 percent had a dedicated mobile site, and 22 percent served PC-optimized pages to mobile devices. According to the report, of the 11 top UK carriers, only 1 had a responsive design, Thomas Cook Airlines, who reported a 30 percent increase in mobile conversion after switching. When Travelocity moved to responsive web design, it saw a 6 to 8 percent increase in mobile bookings. According to a ForeSee report on mobile user satisfaction, Southwest Airlines leads the travel industry pack at 82 points out of 100 possible. Its nearest airline competitor lagged at 77, and even the highest-rated hotel chains, Choice and Marriott, came in behind at 80 and 79, respectively. The airline’s simple no-frills and no-surprise approach translated into a simple mobile experience that users appreciate. Expedia’s new app for tablets offers a streamlined user experience, allowing combined flight and hotel searches. They’ve also incorporated Scratchpad so customers can save an itinerary they’ve started putting together, allowing them to return to it later using their tablet or any other Web-capable device. Another travel brand banking on simplicity, AirBnB simplified its mobile user experience by turning to larger, cleaner images, hoping to entice users to move from browsing to booking. Customers can get irritated by having to laboriously enter information into a mobile app. Sam’s Club’s app is designed to help by snapping a picture of the customer’s credit card and auto-populating the information. Next time, the information is already there. An eConsultancy report on the perfect mobile travel experience notes that customers need help to feel comfortable pulling the trigger on travel purchases because such purchases tend to have high costs. Sam’s Club customer support helps around-the-clock with any problems or questions, offering the retailer a significant edge. Travelocity rebuilt its iPhone app to take advantage of iOS 7’s gesture-based features and the ability to capture credit card information using the iPhone camera, similar to the Sam’s Club app, as well as simplifying the user experience in other ways. Priceline’s app takes advantage of tablet and phone touch-screen feature, letting users define a search area by drawing a circle on an interactive map with their finger. JetBlue is integrating boarding passes into Apple’s Passbook, and will soon use mobile boarding passes on Android too. They’re certainly not the only ones. Passbook is a hot trend for airlines! Making your customer’s life easier isn’t limited to the things your own business offers. Hyatt’s app, for example, provides easy access to Uber and car rentals, including estimated price for a trip, confirmation codes, phone numbers, reservation dates and times, etc. Getting consumers to download an app to their phone is hard enough. Getting them to keep using it for the long haul is much harder. If you want users to stick with your app, give them app-exclusive offers, options, or services to make it worth their while. Travelocity, Groupon, and Expedia all said in recent articles that they offer such exclusive offers to their app users. In my recent post, 2 Less-Obvious Ways to Leverage Beacons, the Next Marketing Tsunami, I explored the explosive growth of beacons. Mobile Marketer talked with several marketers, including Rob Murphy, vice president of marketing at Swirl, Boston. This conversation makes it clear that, although consumers hesitate to share information, if brands offer enough value, consumers will give their info to get the offer. As Murphy says, “Seventy-seven percent of consumers said that they would be willing to share their smartphone location information, as long as they receive enough value in return.” Clearly, if you want to overcome consumer hesitation, you have to figure out what offer will seal the deal. Expedia’s app also uses time and location information to zoom in on the part of the trip that the customer is likely most interested in, the next leg. This includes airport maps, airline locator code, flight status, etc., offered right when needed. As these Travel and Hospitality industry leaders demonstrate, your website has to be responsive so that a mobile user’s experience isn’t a watered-down version of your PC-optimized site but a full version that’s visually optimized for smaller screens and input-optimized for finger and gesture control. Your app can’t be a “me-too” version of your website either. If you want your customers to download it and keep using it, it has to offer sufficient value. This can be offers or services available only through the app, an especially simple and smooth user experience, timely personalized offers and services informed by the customer’s name and location, and/or a convenient-to-use interface that takes into account the limitations of smaller screens. Above all, your app has to take advantage of mobile-specific capabilities, such as GPS location, Passbook, credit card imaging, finger and gesture control, geolocation mashup with TripAdvisor and Uber, etc. Are you already implementing any of these 5 tips? If you are, what results have you seen?